In the age of dynamic businesses, organisations require competitive strategies that are sustainable and provide a competitive advantage. For an organisation superior business performance can be achieved through effective marketing strategy that ultimately provides value to the customer. Began as a modest company in 1987, Voltamp Group is a best example that depicts the entrepreneurial spirit as well as the manufacturing expertise, by becoming the leader in engineering design and manufacturer in Middle East and North African region. With its global partnerships, the company has offered a broad range of effective solutions to its varied clients that includes ministries and government bodies, private sector giants and multinational corporations across industries. The product range of organisation includes an extensive variety transformers of power as well as distribution, switch gears of lower voltage, and substations that are packaged with the help of state-of-art technology at Sohar and Rusayi where there are manufacturing facilities. The company has its competitive edge from in house expertise, modern technology, and service capability for its products and it exports fifty percent of its products. To become a crucial benefactor for the power sector growth of Middle East as well as North Africa and become a brand leader through the development of solutions as well as quality products ultimately maximizing the benefits of stakeholders. Become a manufacturer hub for the switch gears and transformers for the generation, distribution and transmission of networks. Bound to offer total solutions for the power requirements of the power systems in the Middle East and North Africa. 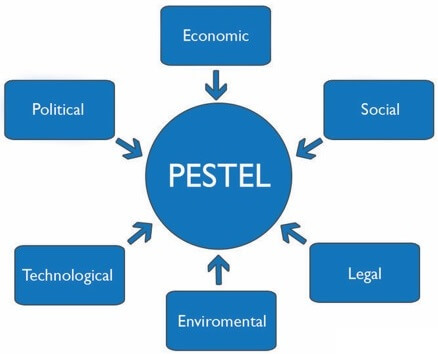 The pest analysis framework is crucial for the strategic management of an organisation, and the goals are aligned to the strategies of organisation based on this analysis. Oman is very much traditional in terms of changing dynamics of preferences, values and tastes, influenced by religion implementation of religious power in daily life. Education is considered as an investment in the country, while nationals are privileged and are benefited from state laws as well as business regulations. All the citizens have equal opportunities irrespective of gender, and class. Even though the country is a Muslim country, it exceptionally allows all types of cultures. The choice of consumers is widened by the technological advancement that obviously eliminates services and goods of low quality, while the norms associated with religion and culture are incorporated here. Utilization of technological devices is higher in the country which is two fold when compared to that of any European country. The country is very objective, with technological insights , and advances in technology is vital for sustaining competition and growth of economy. In order to meet the global standards, the country applies smart regulations, encourages public private partnerships, and innovations are the heart of the long strategies of the government.(Chebib,2016). A regulatory framework has been developed by Oman country is facilitated and benefited from FDI because of the well regulated environment. The major law of the country is Sharia Law, while the free zones of business are benefited from the absence of import duties, freedom from currency restrictions.(Grant,2014). Criminal laws in the country are regarded as the best practices around the world, and higher importance is attached to social, ethical as well as corporate responsibility. Financial legislations are made of regulatory laws, market laws, data protection law and financial businesses regulated by Islamic laws. There is strict enforcement of laws, and is the foundation for all aspects associated with life, all aspects are covered under the code of conduct. Oman motivates the protection of environment, and emphasizes the importance of saving energy and resources, the government welcomes green behavior specifically when it is associated with the recycling of wastes. High level of priority has been given to the conservation of natural resources, haunting of animals, and any kind of pollution is highly prohibited. On a whole, the oman is quite positive for challenges as well as supportive to a developing environment, that provides every one to be insightful, courageous and creative to expand businesses, capital and life standards. 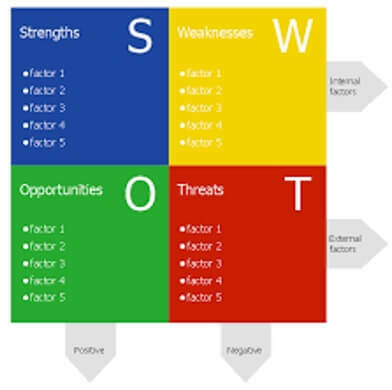 Even though there are strengths and opportunities for a specific country, it is important for an organisation to carefully evaluate the weaknesses in the market and the threats associated with the market environment. Voltamp has been established from thirty years and it is a reputed company of Oman, besides its superior products it is distinctive in nature for its utilization of advanced technologies for its products. Because of its products which are manufactured by few companies, it is the market leader with few competitors. The supply chain of company is highly evolved that is cost effective, and due to more profits it can invest more on innovation for products. The company has its strong presence in the Oman markets. The company invests more on innovation as the preference of the company is for new products with safety and quality. However, costs for research and innovation are high and the company uses high technologies, the machinery associated with these technologies requires skilled workers and to train them necessitates more investment. Voltamp company has a huge scope for growth, due to globalization and its partnerships with global companies increase the opportunity for its global presence. Most of its operations occur in the Middle East and North Africa, the company can exploit the opportunities at a global level in the emerging markets. The success of the company and its presence in the stock exchange of the Middle East can boost the investment from more and more stakeholders. The major threat to the company however is the cheap availability of technologies, except the consumer who is quality conscious, the behavior of the consumer tilts towards cheaper goods given the financial situation of the consumer. The Chinese products are the alternatives to the products developed by the company that are available at lower prices. Despite there is a downturn of economy, there is a strong regional demand for electricity due to rising population and an increase in the per capita income. The annual growth of demand increases by 10% every year and it is expected to rise further by 2020, demand for the transformer based on the generation of new capacity will be more in future. Voltamp is a local company that leverages standard products, is benefited from the rising trend for the demand in power. The company is organized into two business segments that includes transformers segment, for the distribution of sales, service and distribution of transformers and a low voltage and switch gear panel segment. In addition to this, the company provides maintenance contract, onsite assessment services, and the supervision of erection. The company is the sole manufacturer of power transformers in oman,and continue to show double digit growth in future, sound fundamentals of power sector, broad range of products, minimum requirement for up gradation, addition of new products with flexibility and long term contracts assist in supporting the businesses of the company on track. The revenue of the company is expected to be at 11.8% CAGR, over 2017-2012, while forecast EBITDA margin to stand at an average of 13.2% over 2017-2021. This is because of the controlling the expenses of raw materials.Net profit margins are expected to an average of 8% during 2017-2021, while cash dividends are likely to improve because of low interest associated with expenses. Many companies look forward for an international expansion as a part of their growth and marketing strategy, and while developing a blue print for the expansion of their international businesses, consultants need to consider potential barriers as well as modification for their services and products. (Petrilli,2006). Liberalization and deregulation in the industries associated with utilities affect all of the players along the value chain of the electrical industry. In a turbulent environment, where many players are involved in the market, it is necessary to develop market plan in a strategic way to balance the increasing risk as well as uncertainty of the markets to sustain competition. The companies associated with electricity industry are changing their traditional planning approach to a more complex strategies that are supported by modelling tools. 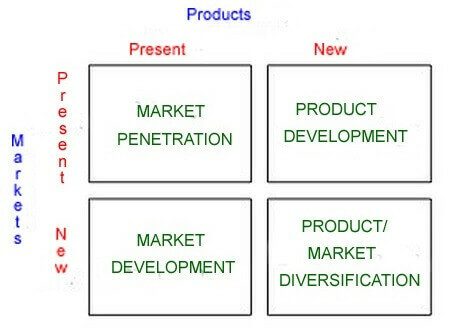 When companies focus on growth, the key tools that are necessary to develop growth strategies are the four quadrants of Anisoff Matrix, these include development of the market, penetration of the market, diversification and development of the product. This matrix is created by H. Igor Ansoff and was first published as article in 1957 in Harvard Business Review. Market development:To get opportunities as well as risks that enable for a faster growth rate, market is developed by selling the existing products in new markets., companies need to focus on the research, development and innovation in addition to knowing the needs of customers. (Proctor ,2013). The different products in the new markets always create interest in the customers of new markets. Voltamp has partnerships with the global companies with which it can access the new markets with its products. In the process of Market penetration is existing products are sold in the current markets, and following this strategy is associated with lower risk as the company has good information about the needs of customers as well as its competitors. ( Meldrum and McDonld,2007). This strategy suits if the goal is to increase the market share for the products, securing a dominant position in the market place, driving out the competitors from the market, and increasing the utilization of its products by customers. The strategy can be further improved by providing competitive pricing and introducing loyalty schemes which is less expensive when compared to the entry into new markets. Voltamp’s marketing strategy is market penetration that enabled the company to be leader in the local markets of Middle East. Product diversification is the introduction of new products in new markets, and while investing, it is necessary to understand the new markets to achieve success by sustaining competition. (Pringle, 2008). Product development is a kind of strategy for growth, in which introduction of new into the existing markets takes place, this strategy is suitable to a situation where products need to be different to attract new customers and to be successful with this strategy. (Proctor ,2013). The company encourages innovation and new product development is a part of innovation, the satisfaction of the customer is important in this strategy so it is necessary to know the needs of customers. Voltamp fosters research and development, innovation and also thrives to satisfy customers. Ansoff matrix is an undeniably a beneficial tool for the management that assists in analyzing the position that is strategic for the company and to put objectives for the further progress of the project. However, there is a criticism on this approach is that it does not consider external factors. (Wilkinson ,2013). The basic concept of market segmentation is to get a competitive advantage that ultimately results in a superior performance of organization and the procedure comprises of finding out the demand segments, focusing distinctive segments, and creating specific marketing mixes for each of the segment of the market. (Hunt, 2002b). Market segmentation uses statistical techniques to identify group of prospective consumers who have various requirements, as well as preferences. The strategy of marketing segmentation identifies base for segmentation, using bases for the identification of likely market segments, developing portfolios of segments that are alternatives strategies, establishing the necessary resources for each of the strategic alternatives, evaluating the resources that are existing, picking an alternative that focuses a specific market segment, acquring necessary resources, adopting positioning plans for the market offerings of the segments and developing marketing mixes for the appropriate segments. The leadership team of the Voltamp company in its strategy found a group of market attractive and business capability variables to utilise the directional policy matrix so that segments are prioritized to concentrate on sales and marketing resources. This resulted in a robust set of segments that are useful operationally, however, the project has a set of problems as always happens with most of the project even with meticulous planning. These problems were encountered prior to the beginning of the project and during the identification of segments, and when operationalizing the resultant solutions of segmentation. Marketing mix management flourishes through aggressive pre planned execution of a complete marketing mix in approaching revenues. Product: it plays a critical role in satisfying the customer, the positioning decisions and the usage of marketing tools comprise of a great deal of marketing administration. Price: it is the most flexible element in the marketing mix as it can be changed rapidly in a short period for a short term than the other elements of marketing mix. Decisions on pricing make a profit margin and the right price can deal the competitors. The pricing decisions are cost based, demand based and compensation based. In the present study, the pricing decisions are demand based as the power is largely associated with relative demand from the customer. Place: No organisation in general has a strategy associated with place and market, and most organisations focus on strategic elements. Promotion: Promotion is associated with all the activities of marketing, and compared to the remaining three P’s., promotion is the most important part to concentrate upon. (Dibb, Simkin, Pride, and Ferrel, 1994). In the current study, the organisation is global in nature and advertising with its global partners has a major role in product promotion. Customer analysis: regular interaction with customers increases the feedback of the customer to changing needs enabling more precise marketing programmers. Competitor analysis: informed decision related to the positioning of product, can be taken only after a careful analysis of competitors. At the disposal of the marketer, a finite amount of financial and other resources are available, and the segmentation enables the businesses to allocate the resources in an effective way by picking the most pleasing part of the market that needs a focus. By analysing of customer and competitor, segmentation motivates the marketers to take a realistic view of strengths and weaknesses of the company. Segmentation enables the businesses to align their planning towards specific needs of customer. 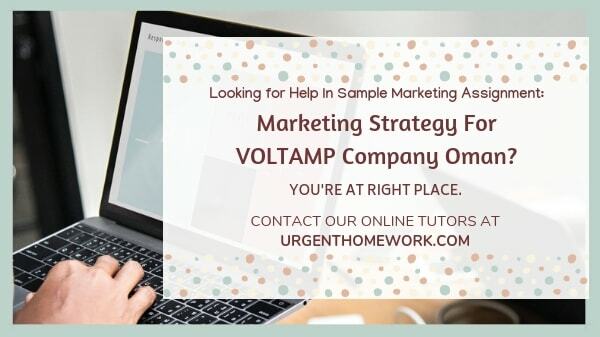 This enables the marketers to plan according to the needs of customers.In the current study of Voltamp, the effective market segmentation with marketing mixes will benefit the company as the strategies will be effective given the market position of the company. Value discipline of performance superiority of a firm are brought out by innovations and result in generic competitive strategy of cost leadership. Innovation in organisation necessitates change and this needs a lot of cooperation. The marketing strategists need to obtain deeper insights in an effort to foster the process of innovation to realize the consumer value. Firms have various objectives depending upon the resource position of capital, intellectual capital and capacities of their firms. The objectives of the firms are influenced by the environment of the market that includes demand patterns, technological change and competitive pressures. For the competitive innovations, organisations should focus on design, shortened product development times and a constant upgrading such as flexible research and development processes, and adoption of advanced technologies. After various types of analyses done for the adoption of strategies will reduce the production costs, simplifies maintenance and manufacture, adds value to the product, enhancing the product quality, improving product design and development,.enriching the information that is gathered from the market, and responsiveness. Market orientation is directly associated with innovation, and a proactive orientation leads to the success of innovation. innovation strategy of a product should be aligned to the overall marketing strategy with goals and objectives arising from the vision and mission of the organization. The effective strategy optimizes resource allocation, a deliberate selection of competitive advantage and the pursuance of strategic thrusts. Outside the organisation in the marketing environment, an effective marketing plan is an important tool for a strategic positioning of the company like Voltamp in the global market place. The effective marketing plan has the necessary information for effective management of well grounded decisions. The analysis of strategic situation of Voltamp found that to sustain competition in the market expansion of the company at a global level, it is important to develop a potential marketing plan. There are certain advantages and disadvantages related to the internal factors to meet the needs of Oman market in the manufacturing sector for transformers. The strengths of the company will help the company to meet the needs of consumers and satisfy them. The oman market is relatively young with opportunities that can be exploited effectively with a meticulous market planning. the Important driver is competition and foreign market entry associated with competition is the intention of Voltamp company to develop international strategies for its businesses. The success of leading organisations is dependent heavily on market segmentation, and customer focused strategies. Effective management of value chain is crucial for the long term management and organizational achievement, while the market segmentation and customer focused strategies have a high significance for an efficient value chain management. The effective planning counters the challenges in the highly competitive global market. Hunt, S.D., 2002b. Foundations of Marketing Theory, M.E. Sharpe, Armonk, NY. Meldrum, M. & McDonald, M.( 2007). Marketing in a nutshell: Key concepts for non-specialists. Oxford: Butterworth-Heinemann. Proctor, T.( 2013). Strategic marketing: An introduction. London: Routledge. Voltamp energy SOAG, Available on https://markets.ft.com/data/equities/tearsheet/profile?s=VOES:MUS accessed on 15 Nov 2017.